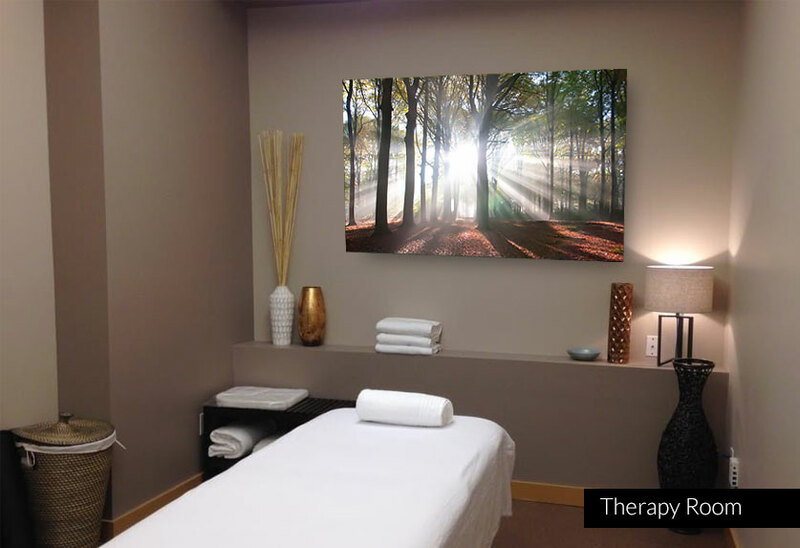 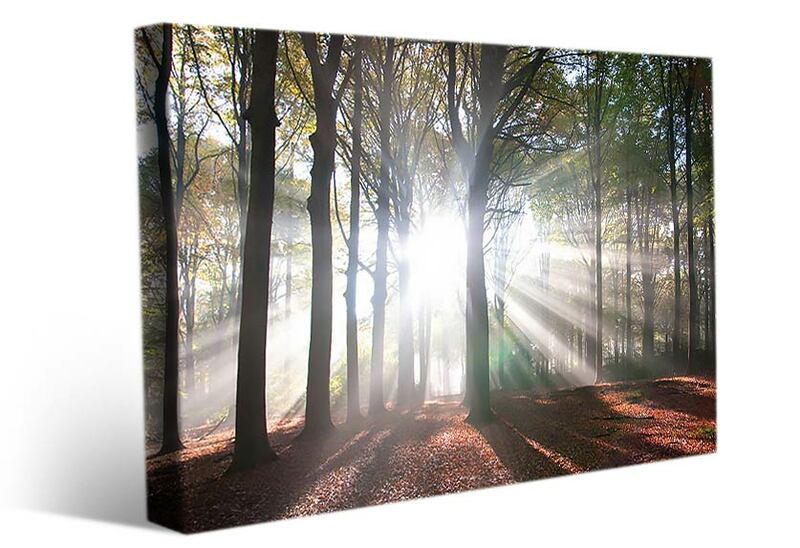 This landscape wall art shows the sunbeams breaking through a dark forest, with tall trees. 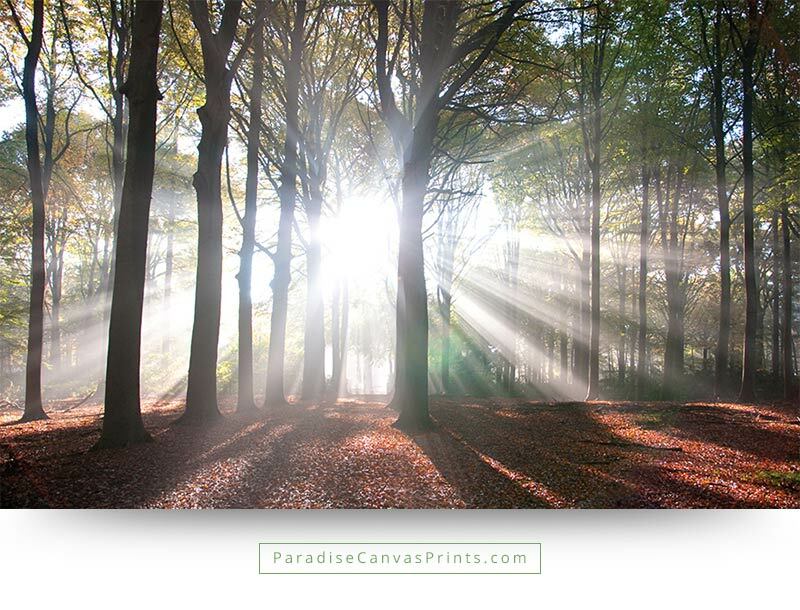 The sunlight is so strong, it is almost like a magical explosion in the darkness of the forest. 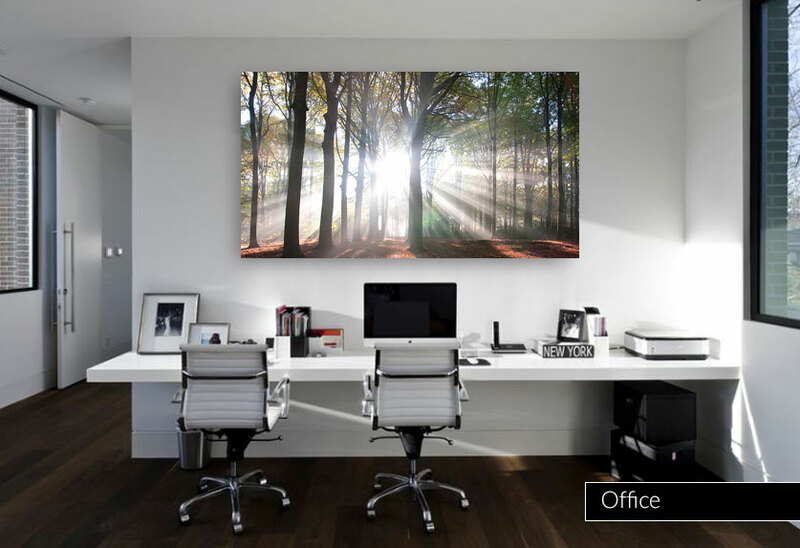 The trees look like giants in a world of mystery. 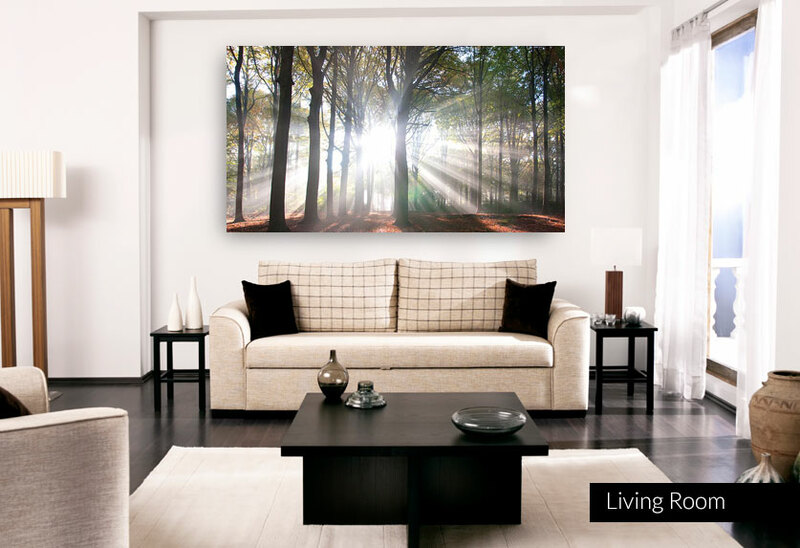 Buy this large landscape canvas print and bring paradise into your home.